After what could seem like an incredibly long time since the October 2016 announcement, we’re finally getting more Red Dead Redemption 2 info. We’ve got a new trailer just yesterday and earlier today IGN followed up with some gameplay impressions of a behind closed doors demo. That said, we haven’t really heard directly from Rockstar until a few hours ago when the Telegraph posted an article containing quotes from Rockstar’s Co-Studio Head Rob Nelson. 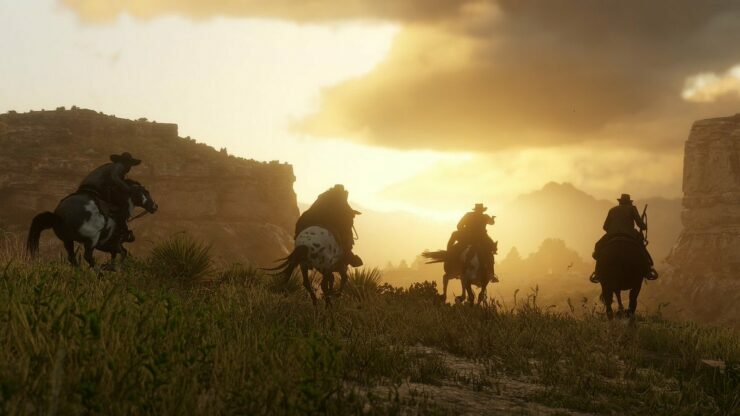 He explained the ambitious goal the developers have of making sure that everything in Red Dead Redemption 2 responds to the player’s action in some way. We’re trying to blur the separation between different types of content. We want an experience that holds up right across everything thing that you’ll do in this game. So you may do honorable things but then if you go to a town and everybody knows you because you’ve done these honorable things, realistically, how does that work? Or if you do dishonorable things and you go in and everyone knows you’re a bad guy, does that make sense with the story that we’re telling about a gang that’s being chased through the map by the law? It should affect things and if it makes sense that you get discounts at stores or whatever – that’s more of the game side of things – but if that doesn’t interfere with the way you feel Arthur’s interacting the world then that’s okay. We realized that technologically this was the right time to try this. We want players to feel like the gang is real and they were working and living with Arthur and the gang. Not just in terms of missions or content. The story is the game and the game is the story. There are passages where the player’s on their own. But there are passages where the player will get to know the different gang members, who gets along with others, who doesn’t, who helps out and who does as little as possible. There’s so much story in how the different characters get to where they are in the first Red Dead Redemption, and to a degree the player has input on it with the actions they take. We’re aiming for depth while giving the player as much space as we can. Starting with the map, to the story that we’re telling and the way you react to the world and the people in it; it all feels within the same resolution and makes sense. Red Dead Redemption 2 is scheduled to hit PlayStation 4 and Xbox One on October 26th. It’s unclear whether Rockstar will show proper gameplay at E3 2018 or not, but stay tuned on Wccftech and we’ll deliver you all the latest news on the game as they arise.